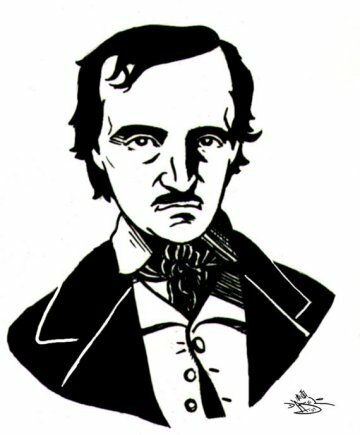 This website has grown out of six years of fulltime research into the life and writings of Edgar Allan Poe. The goal is to introduce the reader to my ongoing Poe research, providing information and hints as to what's to come in my upcoming books about Poe, to be published by Synastry Press. This site introduces the reader to the kind of in-depth analysis into Poe biography and portraiture that will be the hallmark of my first book. A large part of this site is a presentation and analysis of art from the American Renaissance, which was in full swing by the time Poe moved to Philadelphia in 1838. We uncover the strong bonds that existed between Edgar and Virginia Poe to the greatest artists and writers of this key period in American History. Perhaps, the best way to describe this website would be to call it a compendium of insights into Poe's world, as well as a look at some important 'gaps' and faux pas in the story of Poe's life. The concept of this site is to provide illuminating insights into Poe's place in the cultural phenomenon that was the American Renaissance in Philadelphia. Along with this goes the advancement of 'connections' between people who may be known to have played a role in Poe's life, but the extent of their connection has remained uncovered or obscured. Much of the art on this site has never been seen publically; other pictorial images haven't been seen for over a hundred years. While some of these portraits/photographs may also be included in the book, the 'new portraits' of both Edgar and Virginia Poe that I have discovered will not be found on these online pages, because they will be addressed with detailed analysis in our new book, Unknown Portraits of Edgar Allan Poe and Virginia Poe.